On December 7, the chief minister's office had announced that the state government had completed verification of 41 lakh farmers and a sum of Rs 19,537 crores worth of loans had been waived. NAGPUR: A day ahead of the winter session of the Maharashtra assembly, the Opposition has alleged that the BJP-led government is "playing with numbers" in the farm loan waiver scheme. 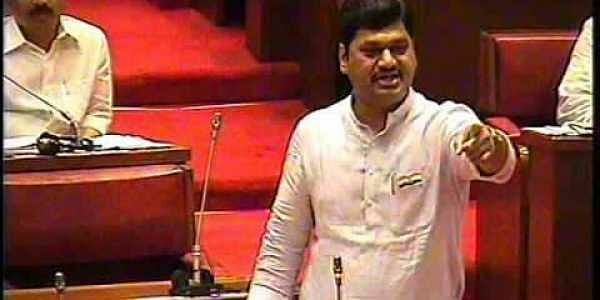 Speaking about the huge jump in the number of farmers verified for loan waiver in a matter of few days, Dhananjay Munde, leader of opposition in the Maharashtra Legislative Council, called it "playing with numbers." "It clearly shows that Fadnavis government has simply played with numbers to issue loan waiver ahead of the winter session. We are not going to be fooled by his numbers," Munde told PTI today. As per the process of loan waiver, the government, verifies the farmers' bank accounts and Aadhar number. It then publishes the name of the farmer eligible for a loan waiver in its "green list". This "green list" has the farmers name, aadhar number, bank account and outstanding loan amount, said officials. The documents received from the state cooperation department showed that on December 2, there were 13,25,250 farmers in the "green list" as against 69,832 farmers on November 25. Within next three days from December 2, the list further swelled to 17,49,000 farmers. "This is next to impossible that state officials are verifying lakhs of farmersÂ’ accounts every day. It clearly means that the farmers' accounts are not verified but simply selected for loan waiver implementation. If the state government had to waive debt without verification, they why did it carry out a farce of forcing farmers to register themselves on Aapale Sarkar portal," Munde questioned. A senior Maharashtra minister, on the condition of anonymity, said that the numbers would be looked into again if anything fishy was found.